The relationship between Church and young people is at the forefront of the minds of many a bishop heading to Rome next month. Not just because the Synod of Bishops will be discussing the topic of youth and vocation, but also because said relationship – at least between young people and certain representatives of the Church – has not always been smooth, to say the least. For two bishops this has been reason to stay at home: Msgr. Rob Mutsaerts because he doesn’t believe this is the right time to discuss the Synod topic, and American Cardinal Joseph Tobin because he feels he should not be away from his Archdiocese of Newark in such troubling times. Among the bishops who are going, however, the concerns expressed by the aforementioned prelates are equally present. Bishop Everard de Jong, who will be taking Bishop Mutsaerts’ place at the Synod has said that he will be supporting the latter’s statement: “I will probably start with saying something about the importance of a safe environment.” In the mere four minutes alloted to him Bishop de Jong also intends to address the question of how young people may be taught to discern their vocation, and break the Catholic hesitance to speak about God and faith, he told Katholiek Nieuwsblad. 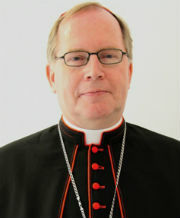 The group of German bishops, unofficially headed by Cologne’s Cardinal Woelki, who have questioned the bishops’ conference’s proposed pastoral outreach that would allow non-Catholics to receive Communion under certain circumstances – and whose position was recently confirmed and supported by the Holy See – have received further support from abroad. “It surprises me that the topic hasn’t been discussed that much. In Sweden, we have many mixed marriages. But most Catholics aren’t married to practicing Protestants. It is not an issue for us. Of course there are evangelical Christians who would like to receive Communion, but most are non-religious. This is exactly what Cardinal Woelki has also said: it is not up to the German bishops alone to decide upon matters that are so essential to the Catholic faith and the understanding of the sacraments. Rather, the entire Church as a whole must decide upon it, if only to avoid the situation in which a regulation is valid in one place and not in another: the Church is not a national Church, but universal, and her sacraments and faith are not bound by borders. Cardinal Woelki has spoken about the unwritten rule that a non-Catholic presenting himself for Communion is not turned away: a pastoral exception to the rule which, however, must not be made into a rule itself. That would “endanger the values that must be preserved with special care”. These values would include the Catholic (and, for that matter, Orthodox) doctrine about the Eucharist and Communion. In two days’ time, on Thursday 3 May, the much anticipated meeting between representatives of the German episcopate and the heads of several Holy See dicasteries will take place, to discuss the question of Communion for non-Catholics. In February, the majority of German bishops voted in favour of devising a pastoral approach in which non-Catholic spouses of Catholic faithful could receive Holy Communion alongside their partner in certain specific cases. Seven German bishops then wrote to the Holy See to find out if this is a decision that could be taken by a bishops’ conference on its own, or if it involved doctrine and Church unity to such an extent that it is something best left to Rome. Originally, the invitation for the meeting was extended to Cardinals Reinhard Marx and Rainer Maria Woelki, as well as Bishop Felix Genn, with Woelki as the sole representative of the bishops who signed the letter to Rome. Marx was included as president of the bishops’ conference, while Bishop Genn remains uncertain as to why he was invited. He doesn’t believe it is because of his membership of the Congregation for Bishops, though. Joining these three are Bishops Karl-Heinz Wiesemann and Rudolf Voderholzer, president and vice-president of the doctrinal commission of the German Bishops’ Conference; Bishop Gerhard Feige, president of the ecumenism commission; and Fr. 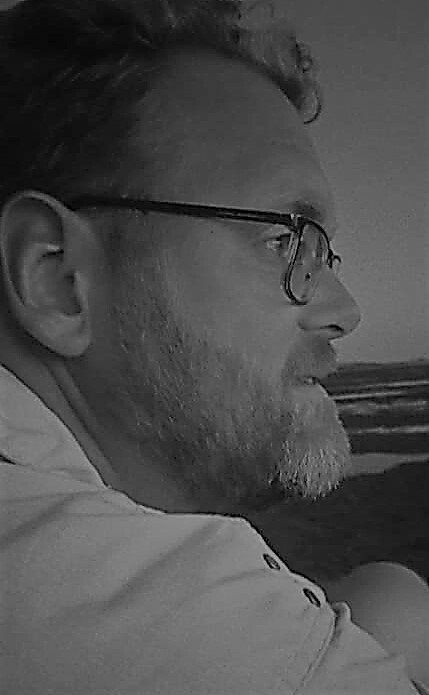 Hans Langendörfer, secretary general of the bishops’ conference. The Roman side of the discussion will consist of Archbishop Luis Ladaria Ferrer, prefect of the Congregation for the Doctrine of the Faith; Cardinal Kurt Koch, president of the Pontifical Council for Promoting Christian Unity; Msgr. Markus Graulich, undersecretary of the Pontifical Council for Legislative Texts; and Fr. Hermann Geissler, office head of the doctrinal section of the Congregation for the Doctrine of the Faith. A team with a heavy focus on doctrinal and legislative expertise, then. 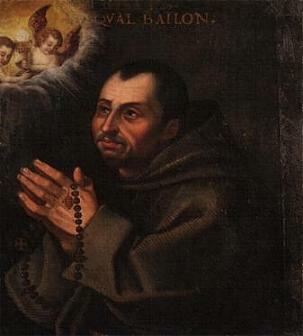 “Let me say two things in advance: I consider ecumenism as a fundamental mission from Christ Himself. In the Gospel of John, Christ prays to the Father, “that they may be one, as we are one… that they may be brought to perfection as one, that the world may know that you sent me” (John 17: 22b, 23). We must remain true to this fundamental mission of Christ. It’s not a matter of ecumenism yes or no, but of the path of ecumenism, the path to unity. We all yearn for this unity – as do I! Allow me to add another thing: I am aware of the needs and problems which occur in the education of children in confessional marriages, but also in the religious lives of the spouses. I am also aware of the tensions which come from this and which can be hurtful. I know this from conversations with people in these situations and also from my family. I take that with me as bishop. The point of the letter which I have written with my brother bishops is to find a way which takes the needs of people seriously and which at the same time provides assistance. We are, however, of the opinion that the pastoral “outreach” sought for by the majority of the bishops’ conference, which allows evangelical spouses to receive Communion, does not resolve these problems and needs. It also does not do justice to the meaning of the sacrament of the Eucharist in the Catholic Church. Furthermore, the “outreach” does not sufficiently take into account the different understandings of the various confessions regarding the Eucharist on the one hand, and the Last Supper on the other. 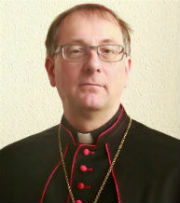 Opposing the actions of the seven bishops is Bishop Gerhard Feige, bishop of Magdeburg and president of the ecumenism commission of the German Bishops’ Conference. In a contribution to Der Zeit last Thursday, Msgr. Feige stated that not taking the chance to help people deepen the joy of the faith and their participation in the Eucharist, as well as promoting ecumenical encounters and strengthening the marriage bond would be “macabre and shameful”. Contrary to other bishops, Msgr. Feige insists that the pastoral outreach exists within modern theological and legal possibilities, referring to the canon law paragraphs which allow local bishops to decide under which circumstances non-Catholic can receive Communion. These circumstances, however, are emergency situations in which the danger of death and the unavailability of ministers of a person’s own denomination play key roles. With these words, Bishop Feige seems to be the one who is rather set in his ways, and it hard to see how such an attitude towards his brother bishops will be helpful in Thursday meeting. Regardless of its outcome, Thursday’s meeting will not only be significant for the German bishops, but for the entire Church, and the entire ecumenical project. For the Congregation of the Doctrine of the Faith this will be the first major test under the new leadership of Archbishop Ladaria Ferrer. Likewise, the Pontifical Council for Legislative Texts, although represented by its undersecretary, has recently come under new leadership as Archbishop Filippo Iannone succeeded Cardinal Coccopalmerio as president in early April. The question of the role of doctrine and law in a papacy devoted in the first place to pastoral care and mercy will receive a resounding answer.